"Enjoyed the fast pace and lots of useful information I can use immediately." "List of questions to ask is invaluable." 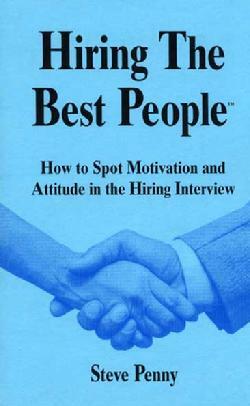 "Great interview tips � new ones, not just the same old questions." "Straightforward yet in depth information I�m sure I�ll use right away � Very helpful for the managers I support!" "Very good information, dynamically presented." "Wonderful ideas and stories I feel I can use right away!" "I learned the importance of being sincere with the applicant." "Great Stuff! Confirmation of existing knowledge, but lots and lots of great new stuff!" Written Comments about this program from attendees at the world's largest Human Resource Conference where 88% of the audience gave it "Highest Rating".